SHERLOC and Dr. Watzin fail the Mars life detection Investigation. But the famous Sherlock Holmes adage forever rings true: “When you have eliminated the impossible, whatever remains, however improbable, must be the truth.” Whether NASA likes it or not Gil's way is closer to the truth. SHERLOC is useless because it can't confirm whether microbe waste was the source of its readings. But Dr. Gil Levin's LR controlled experiment CAN rule out false life readings and get us closer to the truth than SHERLOC. PLEASE Read full Petition proposal and PLEASE vote to force NASA's hand to use Dr. Gil Levin's SUPERIOR CONTROLLED LABELLED RELEASE EXPERIMENTS. 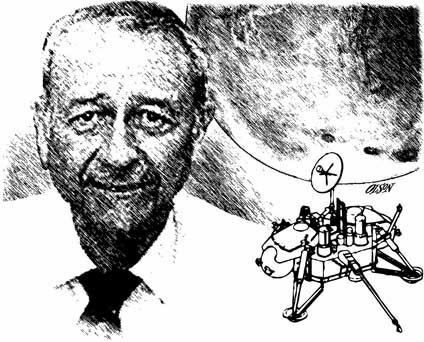 Concerning the 1976 Lander Mission’s life detection experiment, Dr. Gilbert Levin recounts that NASA ordered him not to reveal the positive reading for life that his experiments had concluded. Now can you imagine? In the public’s view and legal theory, that is called suppression. NASA also rejected any further research from his team. No scientific explanation for the rejections were ever given. So, the agency says today that it is set to replace the previous life detection protocols with “newer” tests. However NASA’s planned 2020 Mars Rover experiments cannot distinguish living from dead matter, says Levin, whereas his LR test is well-accepted to do so; its basic protocol is widely accepted on this planet by public health departments in testing municipal drinking water around the world. All relevant research on Mars and Earth since Viking has either supported or been consistent with life on Mars. No known fact precludes it. Further, in 42 years of many attempts, no non-biological theory or experiment to explain away the Viking LR results has withstood scientific scrutiny. NASA’s new emphasis on the finding of organics removes the last significant barrier that precluded the possibility of microbial life on Mars. "I think we're going to have strong indications of life beyond Earth within a decade, and I think we're going to have definitive evidence within 20 to 30 years. We know where to look. We know how to look. In most cases we have the technology, and we're on a path to implementing it. And so I think we're definitely on the road." (WE ARE NOT WILLING TO WAIT 20-30 YEARS, WHEN WE CAN DO IT IN 2! For example, the agency's next Mars Rover, scheduled to launch in 2020, will search for signs of past and present life and cache samples for a possible return to Earth for analysis. This is ridiculous and very time consuming (turtle neck paced speed), costs more money to achieve less results. Levin says TECHNOLOGY of the new Rover experiments won’t do it, and his tried and true experiment will. And Dr. Stofan agrees "in most cases we have the technology!" President Trump said: "We stand at the birth of a new millennium, ready to unlock the mysteries of space..."
The video below YOU WILL SEE & HEAR Dr. Gil Levin as explains the complete science history for the Controlled Labeled Release Experiments and explains how in fact life was detected. And in a strange MARTIAN REVELATION show interview from a previous MARTIAN REVELATION show, from July 14th, 2018 with guest Seth Shostak (SETI), in which his arguments don’t add up, according to Dr. Levin. 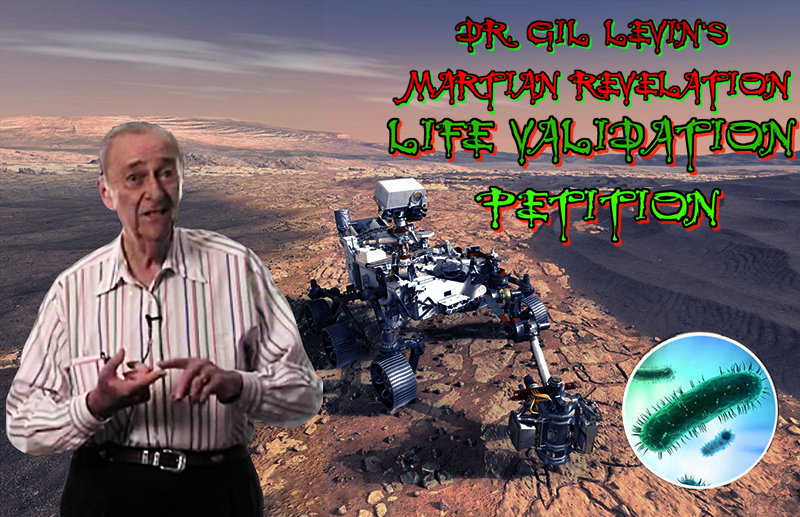 As focus was on Seth Shostak stating that Dr. Gil Levin & his controlled Labelled Release experiment was outdated, when asked if he would support Dr. Gil Levin's Martian Revelation Life Validation Campaign. Mr. Shostak also stated that only qualified & capable NASA scientists can make proposals for a Mars mission. Mr Shostak also stated that we now have much better life detetction technology now, than to use dr. Gil levin;'s Controlled Labelled Release Experiment. I told Dr. Gil Levin of Seth Shostak's OFFICIAL position, & to which Dr. Gil e-mailed me his reply in comment to Seth. Dr. Gil Levin says: "Ask Seth 'whether the Periodic Table is outdated! Also, does 2x2 still = 4? After all that is very old as well." Dr. Gil Levin says: "If he (Seth Shostak) would read my papers, he would see that there is no new better technology than that of the LR or Chiral LR. That is because the LR technique measures on-going metabolism, proof that something (life) is going on. All the new methods look for biomarkers or other snapshots that cannot distinguish living from dead matter. Even finding DNA would fail Occum’s razor!" Seth Shostak also stated in an angered tone that Science is not done by petitions, or by the president or anyone demanding NASA to make these experiment proposals on any Mars mission, but is done only through qualified NASA scientists. Space.com writes: “The Scanning Habitable Environments with Raman and Luminescence for Organics and Chemicals (SHERLOC) laser instrument will be the first instrument on Mars to use Ramen and fluorescence spectroscopies, techniques familiar to forensics experts. When an ultraviolet light shines over certain carbon-based chemicals, they glow much like material beneath a black light. The glow can help scientists to detect chemicals that form in the presence of life. SHERLOC will photograph the rocks it studies, then maps the chemicals it detects across the images." But Levin says SHERLOC, won’t determine whether any organics found can confirm current life on Mars. WE THE PEOPLE WANT THAT DETERMINED & DEMAND THAT CONFIRMATION FOR CURRENT LIFE ON MARS! Please SIGN the Petition, that We The People urge to the President, VP who oversees the National Space Council, and Congress We the People want Dr. Gilbert Levin’s Controlled Labeled release experiment to be accepted & sent on the 2020 Mission to Mars. We need 100,000 signatures in 30 days, so you need to spread the word and link everywhere on the Internet. Let’s do this and not let NASA keep you from the truth.